Growing together as a pair. It’s Siblings February! Hurray! I am linking up with the fabulous Lucy at Dear Beautiful, once again for a great project, that I have quickly fallen in love with and look forward to each month! If it’s one thing my two like to do together, it’s story time. We are huge readers in the family, both Mr. P. and I are always reading to our kids as well as to ourselves. I love that both of our kids love it as much as we do. It melts my heart to watch them grow, play, laugh, and learn together. 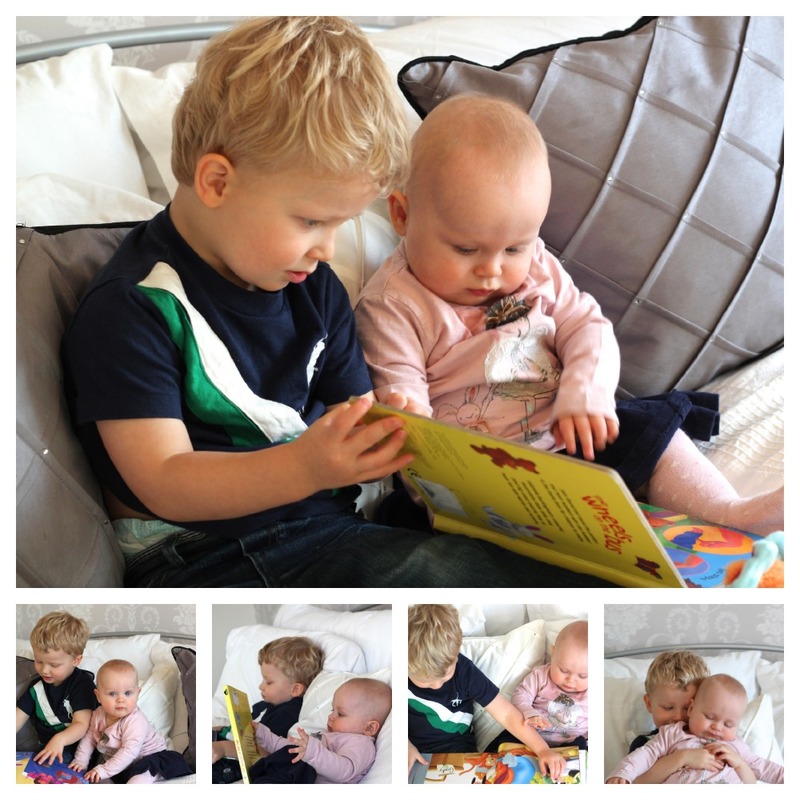 Buba is always eager to read to his baby sister, and show her the way. I love your words, I love the photos, I love that you all love reading so much. Love it all! That last photo is beyond precious, its so beautiful. Thank you Lucy. That means a lot to me. I love writing poetry especially about parenting, and my kids, so it’s lovely to put my poetry, my photo practising all together and join in your lovely project each month. Plus both of my kids hate the camera so it was a rare moment to capture. lol Thanks for hosting. Thank you Katie, I love that they both love to read like I do, and Mr. P. A family of book worms! Ohhh have any books you can recommend me reading, I am always looking for the next one! I am so lucky that he is so loving towards her and doesn’t play the jealous card at all. I am more worried about when she is older and he is kissing and hugging her all the time, as soon as she can walk, I think she will run from him. She is always pushing him away when he is trying to hug and kiss her. hahaha She is fiery, he is sensitive and sweet so should be interesting. But the love between two children is amazing to watch. So true. Thank you. I love story time too now that both mine can sit and listen. Although they would both have me reading happily ALL day the same book. lol Thanks for stopping by and commenting Vikki. Hope to see you again. It’s about the only time I can steal cuddles too! Win-win all around. Thanks for stopping by and commenting. Hope to see you again soon. Thank you Lauren thats sweet of you to say. 🙂 They are so much fun together.